After walking through a deserted plot of rural land on an unevenly paved road, Gilbert Wong arrives at a metal-fenced gate that looks like the entrance to a warehouse, or maybe a car park -- ubiquitous in Hong Kong’s New Territories. But behind this seemingly hostile facade is Wong’s humble home: a prefabricated steel box that looks a lot like a basic shipping container. 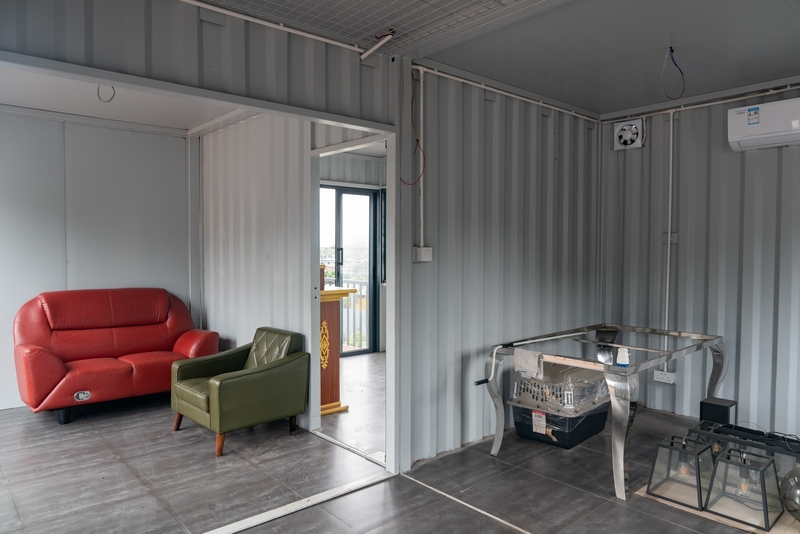 Such dwellings, dubbed container homes, have become an increasingly popular option for residents squeezed out of the world’s least affordable property market. The vast majority are also illegal. “Of all the prefabricated homes in the style of a container that I have seen in ads or online, I can tell you 99.9 per cent aren’t in compliance with the law,” said Vincent Ho, a managing director at surveying and property consultancy firm Freevision Ltd. Blame sky-high property prices for the trend. To help tackle the city’s housing crisis, Chief Executive Carrie Lam has embarked on a concerted effort to free up more land. Her government is even looking at container homes as part of the solution. Container homes are a type of building structure that by law needs government approval prior to construction. For one to be legal in Hong Kong, it must meet certain standards around ventilation, lighting and fire-safety facilities, plus the land it sits on must be zoned for residential use. Putting a residential structure on land that’s zoned for agricultural or open-storage use is not allowed. Because of their often obscure locations, there aren’t any estimates on the number of container homes in Hong Kong. But demand is rising fast. 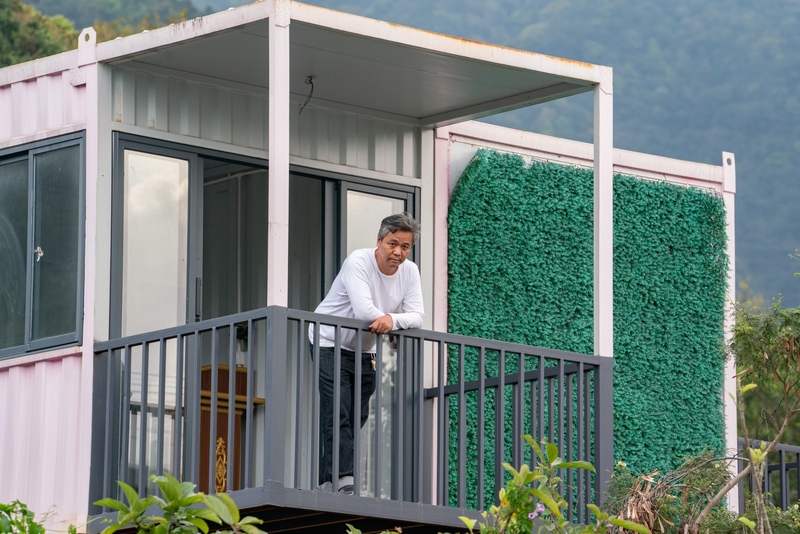 Orders for containers have doubled since 2016, with 40 per cent designed for dwelling purposes, according to Ivan Chan, a director of portable building manufacturer Markbox. The company is now producing about 200 containers for living every year, he said. The rest are for uses ranging from food booths for outdoor events to storage. The most common type of container home made by Markbox measures 30 square meters and costs around HK$150,000 (US$19,100). In Hong Kong, the down payment alone for a modest apartment can easily be double that. Such low costs have prompted the government to experiment with making container homes part of the solution to its perennial housing shortage. A government-backed fund is working with The Hong Kong Council of Social Service, a not-for-profit organization, to build 90 prefabricated homes that will be placed legally in the city’s poorest district as a stop-gap option for people waiting for public housing. The average waiting time had ballooned to five-and-a-half years as of December, more than double what it was in 2012, according to the Hong Kong Housing Authority. Wong, 30, didn’t have a container home in mind when he and his girlfriend started to look for a place to live last year. But they quickly realized apartment rents were way out of their budget. It took the couple about a month to settle on their current 19-square meter home that rents for HK$4,500 a month. To rent just one room of a similar size in a nearby apartment costs roughly 20 per cent more than that. The couple like the cheap cost and the air quality is better than on Hong Kong Island. There are downsides, however. 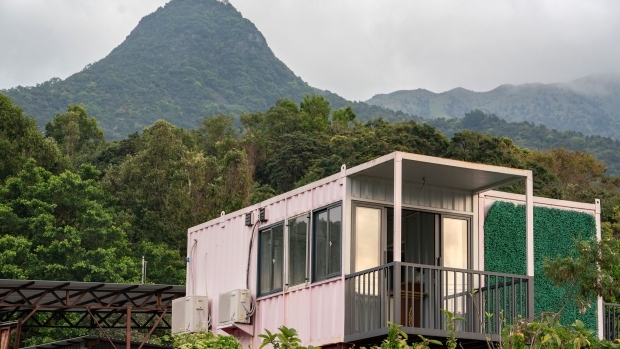 Container homes aren’t built to withstand extreme weather, so when Typhoon Mangkhut hit last September, there were leaks. The remote location also means the couple spend more time, and money, commuting. Wong said he didn’t ask whether the home was a legal residential property when he moved in, and doesn’t plan to. He admits there’s a chance the land it sits upon hasn’t been zoned for residential use. But until circumstances change, Wong plans to stay put. --With assistance from Vinicy Chan.